Tavares declined to say whether PSA planned to discuss a partnership with Ford. 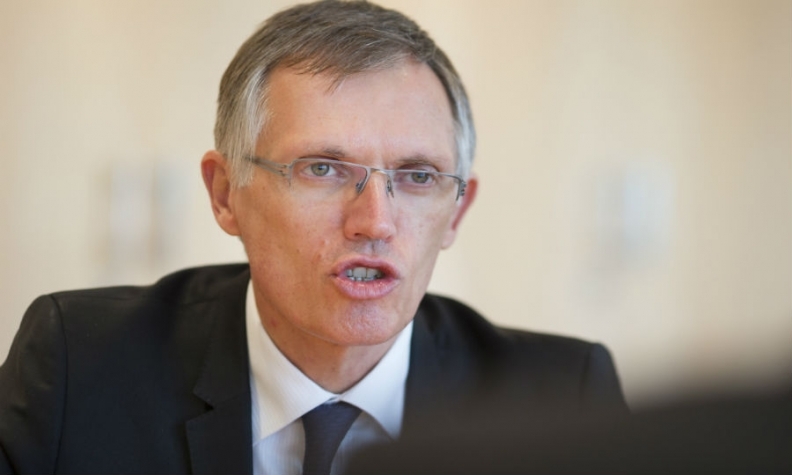 DETROIT -- PSA Group CEO Carlos Tavares said he planned to meet next week with UK unions and government officials to discuss the future of the automaker's' Vauxhall plant in Ellesmere Port, where Tavares said production costs are twice those of its plants in France. PSA has already begun cutting jobs at the plant in moves that would reduce the workforce by a third, or 650 jobs. This has provoked protests from unions. Tavares told reporters during a briefing in Detroit that a hard Brexit which results in tariffs on exports of UK-built vehicles would increase pressure to cut costs. He said the plant is at efficiency levels similar to where PSA stood four years ago, when Tavares began his turnaround effort at the French automaker. PSA took over the Ellesmere Port factory, which builds the Astra compact model, last year when it acquired Opel and Vauxhall from General Motors. "What counts is to bring (UK) plants to the level of cost and quality that is the same as Continental Europe," Tavares said. Separately, Tavares said he is "very open" to a potential alliance in Latin America. He was responding to a question about Ford's signal two days ago that it was exploring options for its money-losing Latin American business. Tavares declined to say whether PSA planned to discuss a partnership with Ford. Asked if he had talked with Ford executives, Tavares said, "not so far." Tavares was in Detroit to promote PSA's plans to gradually re-enter the U.S. market, starting with ride services. At the Automotive News World Congress he said PSA will offer 40 electrified models across its five brands -- Peugeot, Citroen, Opel, Vauxhall and DS -- worldwide by 2025. PSA will tap GM expertise in return to U.S.